What is Vampire: The Eternal Struggle? Black Chantry attended PDXCON, a convention in Stockholm, Sweden hosted by White Wolf’s mother company Paradox Interactive, to demo VTES. 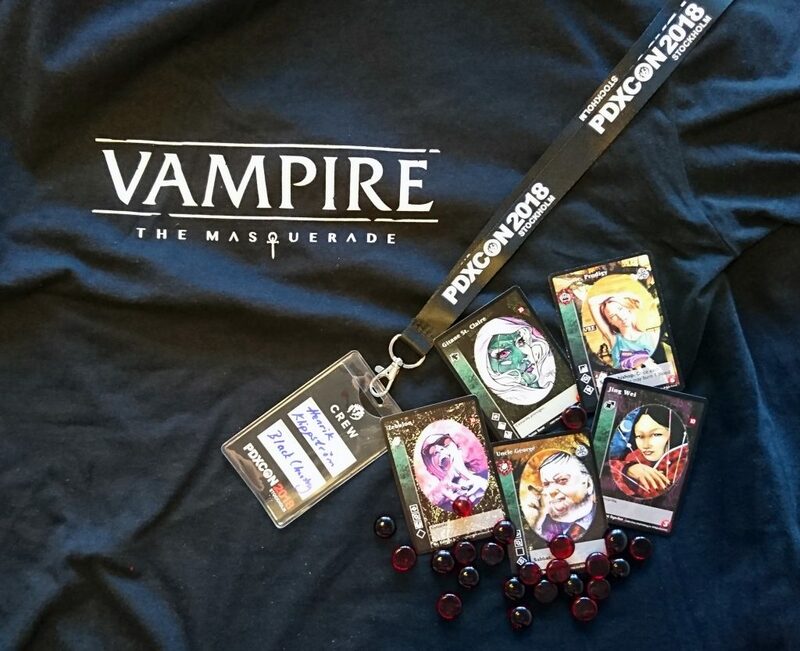 Many were interested in the game, which was displayed alongside White Wolf’s soon to be released Vampire: The Masquerade Fifth Edition and Paradox brand new surprise Crusader Kings: The Board Game.